The original, oldest and largest trolley company on Long Island! North Fork Trolley began operations in October of 2003, offering local sightseeing and wine tours on the North Fork of Long Island. Since then, we have expanded to include specialized transportation for weddings, private wine tours, corporate/private charters and much more. In 2013 we partnered with Warner Brothers to produce The Polar Express for children. We are the only “bus” company in the United States to have that honor. Today thousands of moms, pops and kids enjoy the Polar Express each year. You wine. We drive. What could be better? North Fork Trolley now offers our discerning patrons three new and distinctive wine tours. From our Three Vineyard Wine Tour, to our VIP Wine Tour or our Sunset Wine Tour, one of North Fork Trolleys wine tours are sure to satisfy the wine connoisseur in everyone! All tours will depart from our Calverton location (Hampton Jitney terminal 253 Edwards Ave. Calverton, NY). Deluxe Coach transportation is now available from Manhattan via Hampton Jitney where you’ll then meet one of our Trolleys for the Three Winery Tour. Coach transportation will depart from select locations across Manhattan so be sure to check locations and times! Your wedding day will be one of the most memorable and important days of your life. Add a special touch to your wedding day with an old-fashioned trolley for a unique and charming form of transportation. 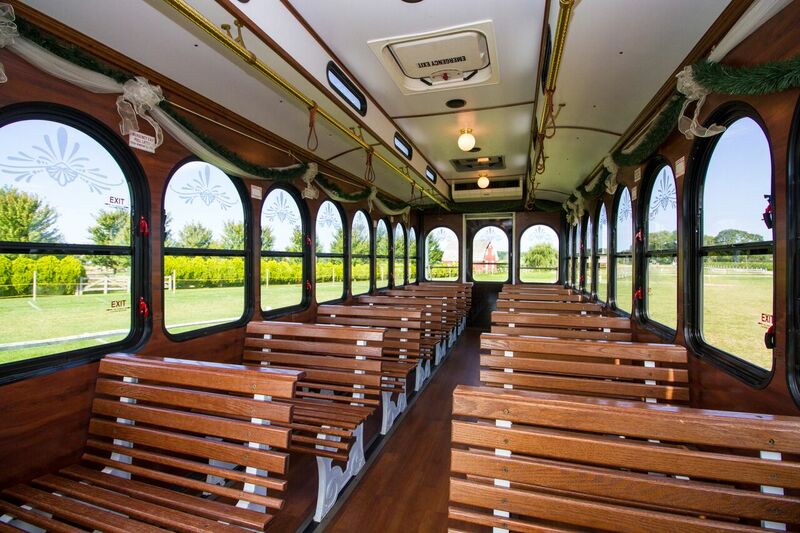 Our trolleys are available year round and provide a festive air for your wedding party, guest shuttles, or rehearsals! 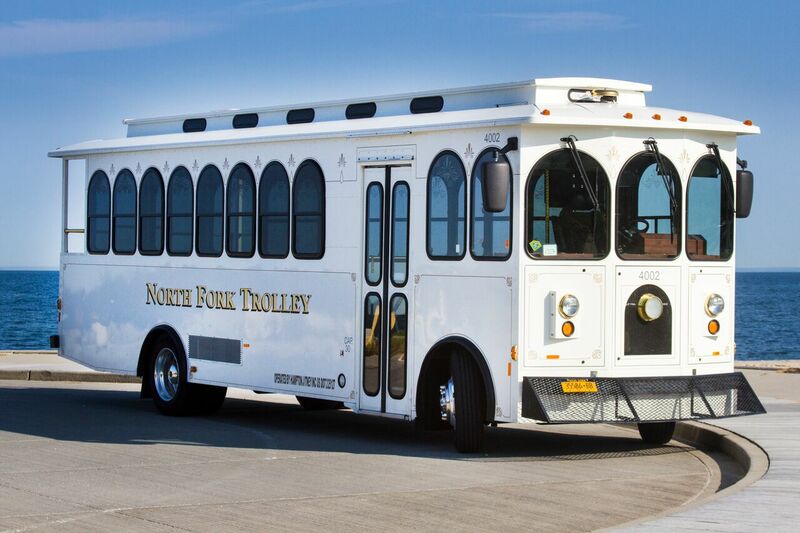 With North Fork Trolley, you and your guests will have one less thing to worry about. Looking to entertain your guests the day after your wedding? Ask us about arranging a private wine tour on the North Fork of Long Island! RESERVE today! 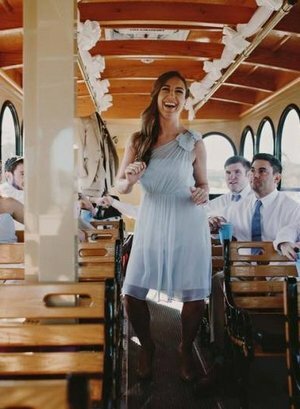 North Fork Trolley provides specialized transportation for weddings, private wine tours, corporate charters and much more. Our friendly and attentive staff is committed to providing our guests with a fun and safe experience. As Long Island's largest and most established trolley service, we know what it takes to get you where you want to go, in style. From basic pick up and drop off services to more complex assignments, North Fork Trolley is your number one choice for professional, courteous, unique transportation. Inspired by the iconic film and award winning book by Chris Van Allsburg, the magic of The Polar Express comes to life! Come one, come all... Families are encouraged to wear their pajamas! Depart from either Riverhead or Southampton and travel north, interacting with a character from the movie and listening to Liam Neeson’s reading of The Polar Express, by Chris Van Allsburg. 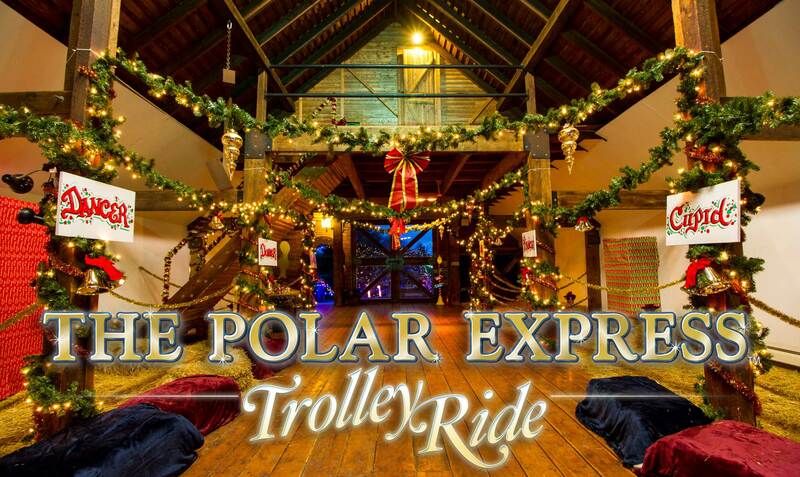 When you arrive at our North Pole, you will disembark the trolley and visit with Santa; where he and the elves will entertain you and your family. In addition, he will be giving children the first gift of Christmas! Finish the night with hot cocoa and cookies. North Fork trips depart from The All-Star Bowling Alley, 96 Main Road, Riverhead, (Route 25 just west of route 105). South Fork trips depart from The Omni, Hampton Jitney Terminal, Southampton, (County Route 39A, 9/10's of a mile east of the 7-11 in Southampton). Be sure to arrive 30 minutes prior to your scheduled departure time. The newest and most up to date fleet on the island. Classic polished oak wooden bench seating for 28 - 32 passengers. Year round availability- fully heated and air conditioned for your comfort. Fully glass enclosed for inclimate weather. State of the art 6 speaker sound system. Fully insured and licensed drivers. Handicapped accessible per your request. Questions about our services? Please send us an email or contact us by phone at 631.369.3031.